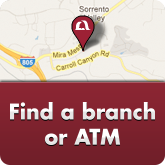 Visit Mission Fed for credit union San Diego Home Loans and Mortgages—we’re happy to help. Buying a new home is probably the most important purchase you’ll ever make. Because of that, people like to take their time and research everything they can—learning not only about the home they want to buy, but also the area it’s located in, the school district and current market trends in the real estate industry. Naturally, all of that information can be a little overwhelming for anyone not familiar with purchasing a home and home loans, so it’s important to work with someone you trust. Get all your questions answered and see how easy it is to get started. At Mission Fed, we understand how important it is to match our members with the right San Diego Home Loans and Mortgage Loans. That’s why we have made it a top priority to give each and every member the personalized attention they deserve when looking for a credit union Home Loan. View our infographic on the home buying experiences of San Diegans. Home Loans at Mission Fed video on YouTube - Description: The speaker is a Mission Federal Credit Union employee and is standing in a Mission Fed branch. Throughout the entire video, they address the camera directly. Please use the YouTube captions functionality to access an alternative to the audio portion of the video. Mission Fed offers many different types of Home Loans that are tailored to our members’ individual needs. Whether you plan on buying or refinancing a home anywhere in California, Mission Fed has a wealth of options available to help determine which loan program is right for you—with no pre-payment penalties! Apply for a Credit Union Home Loan and know that we’re right here in your neighborhood to help throughout the buying process. Come to Mission Fed for your personalized Home Loan and Mortgage options today! 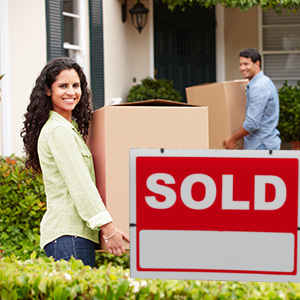 Once you’re ready to apply for a Home Loan, Mission Fed makes it as easy as possible. 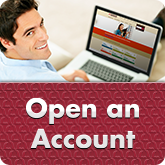 You can apply online or in person at your local branch with the help of one of our knowledgeable employees. Make sure you have all your necessary documents ready to go before applying—including paycheck stubs, W2s, tax returns, bank statements and, possibly, retirement statements—and we’ll help walk you though the prequalification process to find the right credit union home loan for you. Make an appointment with a home loan expert to get the kind of personalized assistance Mission Fed proudly offers. Mission Fed surveyed 400 San Diegans and asked about their thoughts on purchasing a home in today's market. The results highlighted that 31.1% of participants said their biggest fear when it comes to purchasing a home is not being able to afford one in San Diego. Check out the infographic and full-length study to read more of our surprising discoveries. Learn how Mission Fed can help alleviate the intimidating process of buying a home and how to get a home loan today. Click the infographic below to view the enlarged version and visit your local branch. Please include attribution to https://www.missionfed.com with this graphic. How do Home Loans work? At Mission Fed, our goal is to get you into the home of your dreams by helping you find the right Mortgage Loan for your needs and budget and that’s why we offer a free Home Loan Guide. This guide will serve as an introduction to Credit Union Home Loans. By reading it, you will learn the basics of what is needed to get a home loan, including the types of home loans available, important terms related to home loans and what they mean, what you need to acquire a home loan and the steps you’ll need to take when purchasing a house with your home loan. The Mission Fed Home Loan Guide introduces loan terminology like prequalify and preapproval and explains their importance and difference, along with many more terms. If you are a first-time homebuyer, we have information unique to you, including programs that you can benefit from, mistakes to avoid and important items to consider when you begin your home buying journey. A big part of the home buying process is determining how much you can afford. This may seem intimidating, but don’t worry—Mission Fed is here to help. Your monthly expenses, down payment amount and interest rate will all play a large part in figuring out how much you can comfortably spend each month on your mortgage. We will also provide a list of calculator resources in this guide that you can use to help determine your home buying power. 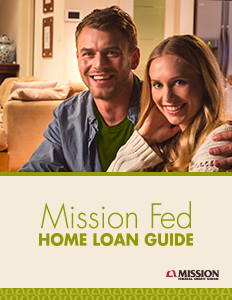 Get started today—download the Mission Fed Home Loan Guide! It’s a good idea to get preapproved for your Home Loan as soon as you want to start looking at homes. Many real estate agents require you get preapproved before they’ll start showing you homes. Getting preapproved will also give you a good idea of how much home you can afford. You can start the preapproval process as early as you want, but do be aware that the preapproval letter has an expiration date. Once you’ve chosen a home you love, you can begin the actual loan approval process—also called underwriting. You’ll provide a sales contract signed by you and the seller agreeing to a price and terms, and then the underwriting process can begin. Because Mission Fed’s underwriting takes place in-house, you’ll get quick results. What do you need when applying for a Home Loan? Why choose Mission Federal Credit Union for a San Diego Home Loan? Mission Fed is a local business, and we know our community well. We’ve been located in San Diego since opening our doors in 1961, so our credit union Home Loans are customized for the needs of our San Diego County members. Because we’re familiar with the neighborhoods and understand the local housing market, we can help you select the right San Diego Mortgage Loans with great rates. We’ll work hard to get you the Home Loan you need with a down payment and monthly payment that works with your budget. Applying for a Mortgage Loan doesn’t have to be intimidating. Trust Mission Fed to help you find the San Diego Home Loan that’s right for you. What Home Loan program options are available? Competitive fixed and adjustable rates (ARMs): Mission Fed offers great rates to help keep your payments and overall costs as low as possible. Our loan experts can help you decide which loan type is right for you, depending on how long you intend to live in your new home and what the market looks like. Low down payments: Find the right Home Loan for you, without having to save up for a large down payment first. In today’s market, it’s not always possible to save 20 percent of the cost of a home for a down payment. A loan with a low down payment can get you in a home sooner, without the need to save so much first. Purchase loans: Whether you’re looking to buy your first home or an investment property, we’re here to help you purchase the property you want. 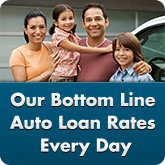 We have a variety of loans available to help you make your purchase work with your budget. Refinance and cash out loans: If you want to take advantage of lower interest rates by refinancing your Mortgage Loan or want to refinance for more than you owe to take out the difference in cash, Mission Fed can help! Jumbo loan amounts up to $2.5 million: Mission Fed offers Jumbo Loans for qualifying members with a loan-to-value ratio of up to 95 percent. If you live in an area where home prices are high, a Jumbo Loan might be the right answer for you. Terms up to 30 years available: Make sure your mortgage payment works for your budget. Keep your payments manageable with a 30-year loan term. 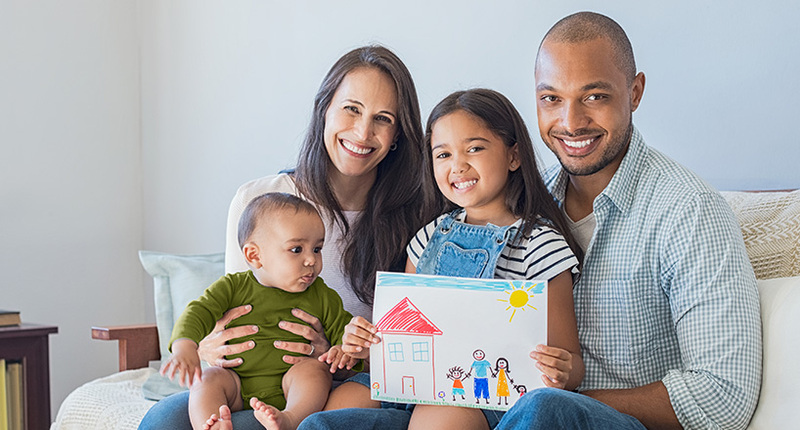 First-time homebuyer programs: Mission Fed and its trusted network of Realtors can walk you through the process of buying your first home, so you can enjoy one of many Mission Fed Moments. Let our knowledgeable employees help you every step of the way as you apply for a Home Loan for the first time! Investment properties: Make sure your investment makes you money and doesn’t cost you. We’ll help you get the right loan and make sure you’re financially prepared for your investment property. Enjoy access to funds for virtually any project: remodeling, upgrading for energy-efficiency, debt consolidation or even tuition. Find out more about our Home Equity Loans and Home Equity Lines of Credit (HELOC). First-Time Homebuyer Seminar: When you start thinking about buying your first home, chances are you’re getting a lot of unsolicited advice from family, friends and coworkers. There’s a lot to consider before taking the plunge into home ownership, and there’s plenty of information available at a Mission Fed First-Time Homebuyer Seminar. Register for the next available seminar. Move Up Workshop: If you’ve been thinking about selling your home and moving up to a new one, but don’t know where or how to get started, the Mission Fed Real Estate Team of experts is here to help you! Register for a workshop or email us at MoveUp@MissionFed.com for more information. Mission Fed also offers loans for the purchase or refinance of Multi-family and Commercial Real Estate properties located in most of Southern California. To learn more, go to our Commercial Real Estate page. Mission Fed has partnered with HomeAdvantage to make buying or selling a home easy for you. You’ll probably notice first that you can earn Cash Rewards equal to 20% of your network agent’s commission. But there are other benefits as well, including looking for your home online from the convenience of your couch, and working with a preferred Real Estate agent from our local network. Get more details and see the numerous ways you can save time and money with HomeAdvantage and a Mission Fed Home Loan. Whether you’re purchasing or refinancing your home, homeowners insurance is one of the most important steps you can take to protect your financial future. Help protect your largest asset with LiveSmart Insurance Services for your home, condo or mobile home. Jumbo Home Loans at Mission Fed video on YouTube - Description: The speaker is a Mission Federal Credit Union employee and is standing in a Mission Fed branch. Throughout the entire video, they address the camera directly. Please use the YouTube captions functionality to access an alternative to the audio portion of the video. Whether you’re buying or refinancing a home anywhere in California, we have a variety of loan options and will help you determine the right program for you—with no pre-payment penalties. We service most of our credit union Home Loans ourselves, right here in San Diego, so you’ll be able to get great customer service from our employees. Avoid unnecessary fees and broker markups by financing with us! Our loan experts can assist with your application, answer any questions you may have and help you understand the process from beginning to end. When the housing market went into free-fall we sought refinancing, like every other reasonable homeowner with a mortgage. The BIG guys, who held our mortgage—to whom we had proven our dependability over many years—avoided us like the plague. MFCU not only treated us with courtesy, they also got us what remains one of the lowest rates available. -Richard M.
Mission Fed offers a variety of resources to help you navigate your Home Loan process. Whether you’re looking for Home Loan calculators to figure out how much home you can afford or how much of a down payment you should plan to make, we have you covered. We even have calculators to compare mortgages or learn the loan-to-value ratio on your home! We also offer meetings at our local branches where you can speak with real estate agents in your area and get your home buying and selling questions answered. In addition, our Mission Fed Home Loan team will work closely with you, the real estate agents, the home appraiser, the home inspector, title and escrow experts to make your home purchase experience as enjoyable as possible. We’ll keep you in the loop and keep you informed, so you know exactly what’s happening. Finally, we offer helpful infographics that can help you get started with step-by-step guidance to buying your first home, or figuring out how much you should be saving. 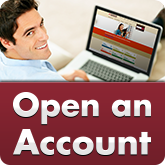 Each step of the way, Mission Fed is here to help you with your Home Loans in San Diego. How do I get a Home Loan? First, plan ahead and make sure your credit history and credit score are in good shape before you apply for a Home Loan. Next, do your research and find the right Mortgage Loan for you. Consider the size of your down payment, how much you can afford to pay each month and more. Then, stop by Mission Fed to discuss which Credit Union Home Loan is best for your needs. Make sure you bring in the necessary documents when it’s time to apply, then apply in the branch or online at your convenience. In order to qualify for a Home Loan, lenders look at your income, credit score, credit history, debt-to-income ratio and your down payment to decide how much they’re willing to lend you for your Mortgage Loan. You need to demonstrate that you have the money to pay back your loan, as well as show a history of paying debt back in a timely manner. Once a lender has looked over your loan qualifications, they’ll use your debt ratio, credit score and down payment, in conjunction with your local loan limits, to help decide what size loan to offer you. Because the cost of housing varies depending on where you live, the size of your loan can differ by location. Certain loan types have limits, too, so you’ll want to be clear on the type of loan you want to apply for and how that affects the final amount offered. A loan expert can help you review your credit score, debt ratio and down payment to estimate the amount of Home Loan you’re eligible for today. Make an appointment with a Mission Fed loan expert to get the details unique to your particular financial situation. Can I calculate my Home Loan costs? There are a number of different calculations you’ll want to make when it comes to your Mortgage Loan. Use any of the Mission Federal Credit Union Home Loans Calculators to help you estimate what you can afford, which Mortgage Loan is right for you, how much to put down and more. For more details, make an appointment with a Home Loan Representative by clicking the button above or calling 800.500.6328 to have your questions answered. Learn More About Home Loans with These Great Blog Posts! Are you looking to move up or over in real estate? If you’re thinking about selling your current home and buying a new one, Mission Fed Real Estate experts are here to help. Learn how to find the right property, get your home ready to sell and find the San Diego Home Loan that is right for you and your budget. Moving up doesn’t have to break the bank. And if this is the right time to move over to a new neighborhood or smaller house, talk with Mission Fed. Our Credit Union Home Loans can help you stay on budget with a great rate and flexible terms! This is how you buy a home in the San Diego real estate market: The San Diego housing market can be tough to get into without the right partners. Thankfully, Mission Fed has you covered with San Diego Mortgage Loans, real estate experts and our HomeAdvantage program to help you find the right home for you. Collaborate with one of the HomeAdvantage agents to buy or sell a home, and earn Cash Rewards equal to 20% of the agent’s commission. With the right team and the right Mortgage Loan, you’re ready to jump into the San Diego housing market and find your home! First-time homebuyers need Mission Fed: Ready to transition from being a home renter to homeowner? 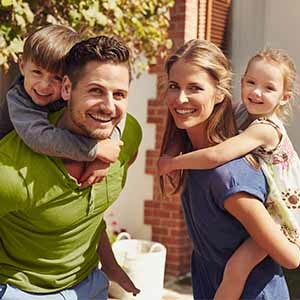 1st VP Real Estate Operatins & Loan Services Vince Nowicki offers five steps on how to buy a house, and why a Mission Fed Home Loan is an important part of your home buying journey. We’ll Help Guide You on Your Home Buying Journey: In addition to offering Home and Mortgage Loans, Mission Fed provides an infographic that can serve as your Step-by-Step Guide to Buying Your First Home. Mission Fed Loan Options: An Infographic An Infographic Mission Fed doesn’t just offer San Diego Home Loans. Find out all of your Mission Fed Loan Options by looking at this infographic. And remember, with Mission Fed, your success is our bottom line, including informing you about great loans with low rates. A great service experience includes sharing the disclosure. Borrowers must be members of Mission Fed. Your business is eligible for Mission Fed membership if it is located within San Diego County. Thank you for your interest in our First-Time Homebuyer Seminar. 30-Year Fixed Jumbo Home Loan Purchase. 30-Year Fixed Jumbo Home Loan Purchase. A new home a big deal—let us help. 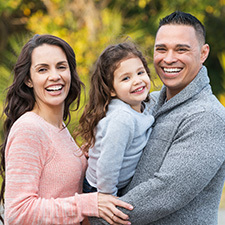 By using My Mortgage via Mission Fed Online Banking, you can make payments, access loan details, view loan and escrow history and more for your First Trust Deed and Second Trust Deed Mortgages. Your success is our bottom line. Rates, terms, conditions and services subject to change without notice. If you are using a screen reader and are having problems using this site, please call 858.524.2850 or 800.500.6328 for assistance. 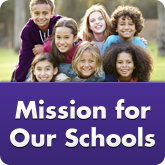 Thank you for visiting MissionFed.com! We wanted to let you know that we are not responsible for and assume no liability for any other company's website. We will not represent you or another company as a result of any transactions you may perform. Come back to MissionFed.com again soon. Your success is our bottom line, and we enjoy serving you.